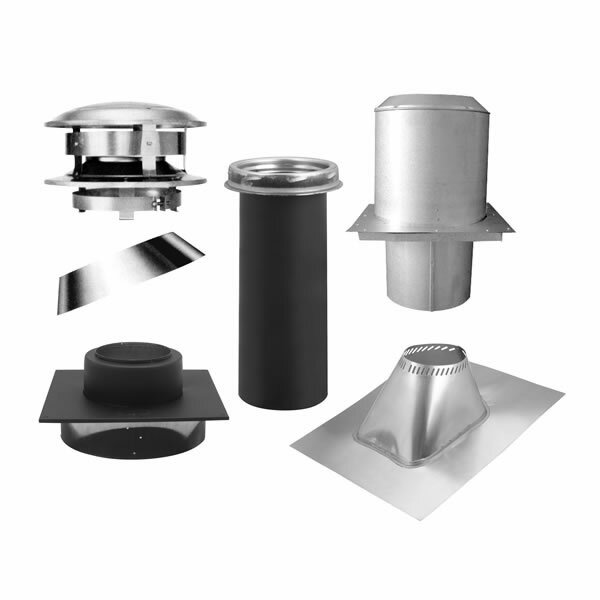 Designed for use with 8-inch inner diameter chimney pipe, this flat ceiling support kit includes a round top, an attic insulation shield, a storm collar, a finish support package, adjustable flashing, and a stove pipe adaptor. The kit provides everything you need to install a chimney supported by a flat ceiling, passing through an attic, and eventually penetrating the roof. All that you need in addition are the actual pipe lengths. Depending on roof design and orientation, a roof brace kit may be necessary to support the chimney above the roof. Note that the attic insulation shield is required even if there is no attic insulation, unless you have a full enclosure with 2-inch clearance to combustibles installed around the chimney. Was pleased with how fast the order arrived and how quick the company was to return emails when i had questions.